Area Sibiloi 1,570 sq. kms. Area Central Island 39 sq. kms. Area South Island 5 sq. kms. Distance from Nairobi 800 kms. Distance from Nairobi 348 kms. Before you read this, you will love the first and second part very important. They will give you a better understanding of the general area that is the Northern Circuit. Read through The Northern Treasures and SAMBURU AND BUFFALO SPRINGS NATIONAL RESERVES. Area Samburu 1,482 sq. kms. Distance from Nairobi 620 kms. Did you read the first article about the North? We called it The Northern Treasures. We recommend you should check it out, just to get you excite and have your wanderlust spirits excited. We got to give a taste of how the North of Kenya ha more to offer than any of us imagine. We promised a few more information of that side of Mt Kenya, and we always keep our word. Area Samburu 104 sq. ft. kms. Area Buffalo Spring 131 sq. kms. Distance from Nairobi 343 kms. Kilifi is a resort town on the coast of Kenya , 56 kilometres (35 mi) northeast by road of Mombasa. 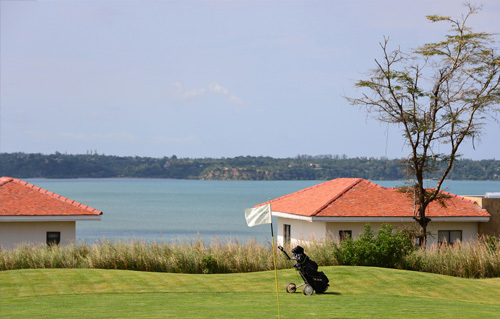 The town lies on the Kilifi Creek and sits on the estuary of the Goshi River. Kilifi is capital of the Kilifi County and has a population of 122,899 (2009 census). It is known for its beach and for the ruins of Mnarani, including mosques and tombs, dating from the 14th to the 17th century. The town sits on both sides of the estuary and are linked by the Kilifi Bridge which overlooks the estuary. The south side has the Mnarani ruins and Shauri Moyo beach while the north side is the main part of Kilifi Town and Bofa Beach. The weather is generally warm throughout the year (above 25 degrees) with two seasons of moderate rainfall (about 800-1000mm). Long periods of rain start around March and last into July, while the short periods start around October and last until December. The terrain is generally flat with sandy-loamy soils. Meru National Park, where George and Joy Adamson released their most famous lioness, Elsa, back into the wild (a story immortalised in the book and film Born Free), is increasingly re-appearing on safari itineraries. After it was founded in 1966, the park, run by one of Kenya’s most energetic wardens, Peter Jenkins, was a popular destination for safaris. But it fell into neglect in the 1980s, and for more than a decade, into the late 1990s, this entrancing wilderness was virtually off limits due to out-of-control poaching. Then, championed by the International Fund for Animal Welfare, with the support of the EU, the park became a KWS cause célèbre and was comprehensively restored, with newly cut earth roads, a dedicated force of rangers led by a new warden (Peter Jenkins’ son Mark Jenkins), and a poacher-proof rhino sanctuary near the main gate which is home to both white and black rhinos. Despite its relaunch, Meru is still one of the least visited of Kenya’s big parks, which is all to the good: this unspoiled 870km² stretch of well-watered, dense bush, acacia woodland and verdant, tall grasslands spiked with weird-looking doum palms is ripe for discovery. It has game viewing which now easily matches or exceeds the sort of safari experience you’ll have in popular parks such as Tsavo West or Tsavo East, with increasingly frequent sightings of all the ‘Big Five’, plus cheetah and numerous other savannah species. Meru’s numerous streams and rivers are a characteristic feature of the landscape. Be sure to visit the Rojewero viewpoint and boardwalk – a lovely spot to stretch your legs and take in the dense riverine forest. There are good hippo, croc and fish-eagle-spotting opportunities in the area. Driving around Meru National Park through the thick bush, you’re also likely to have close encounters with some of the park’s huge herds of buffalo – the key prey for Meru’s lion prides.